Now’s the time of year when we all look toward spring. We’re putting winter behind us and dream of warmth, sunshine, and summer harvests. I’ve found that this is also the time of year when people start thinking about signing up for CSA shares. Clean Energy : We power our farm with carbon-free wind and solar power. 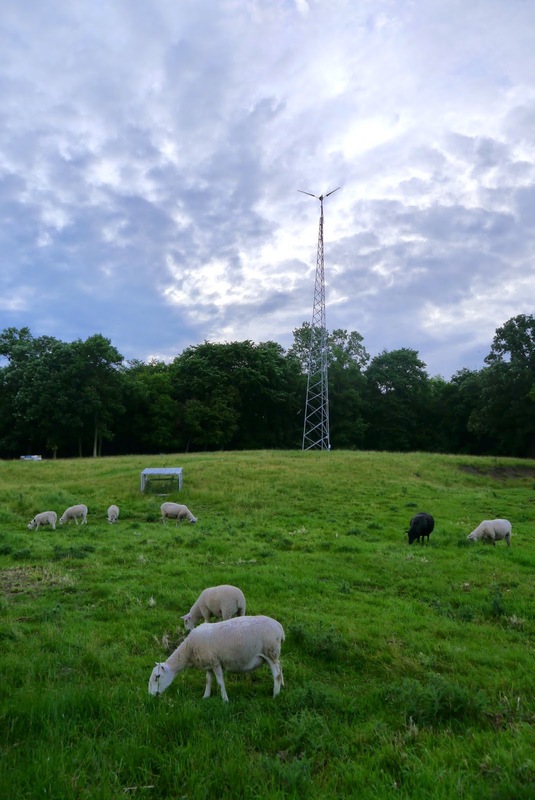 Our Ventera wind turbine provides a majority of the farm’s electrical needs and we recently installed solar thermal panels to heat our winter greenhouse. Small-scale Family Farm: We’re pretty much the opposite of big ag. All produce which you receive is grown, cultivated, washed, and packed by Ryan and Maree Pesch with some assistance from our friend and apprentice Kelsey Wulf. Our three children make up the rest of the workforce, but their contributions are hit and miss. We’re hoping for 50 shares in 2015. Delivered Shares: One feature many of our members enjoy is that their CSA box simply shows up on their doorstep. We deliver every Friday directly to home or businesses in Pelican Rapids, Detroit Lakes, Vergas, Cormorant, and many lakes in between. We have limited shares delivered to a dropsite in Fergus Falls on Tuesdays. On-farm Experiences: The fall harvest party may be reason enough to join. We also invite members to pick peas, beans, tomatoes, and a jack-o-lantern. We offer two kinds of CSA shares: a full/family share where you receive a 3/4 bushel box of what’s in season every week for 16 weeks and an every-other-week share (8 deliveries over 16 weeks). We also expect to do fall storage shares and some winter shares with details forthcoming. *You will receive a 20% discount if using SNAP benefits to have your assistance go further. Sign up: Fill out this order form. To confirm that you are in our delivery area or whether we have shares still available (especially if you’re reading this in May or later), please contact Ryan or Maree at 218-342-2619 or lidafarmer@gmail.com.